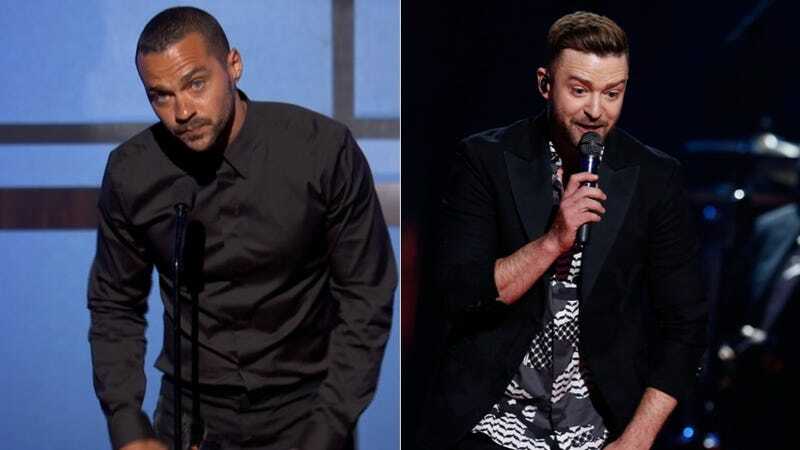 When Jesse Williams accepted the Humanitarian Award at the BET Awards on Sunday night, he spoke on behalf of black people and Black Lives Matter in one of the greatest acceptance speeches we’ve heard from a celebrity. Justin Timberlake was certainly inspired, though he should’ve expressed it better. Williams first thanked his parents for “teaching me to focus on comprehension over career,” and he acknowledged how “They made sure I learned what the schools were afraid to teach us.” Williams goes on to lift up civil rights activists, organizers, attorneys, etc., with a specific emphasis on the work black women do, and makes smart points about appropriation, gentrification and money. Jesse, in typical woke bae fashion, also mentioned Sandra Bland, Eric Garner and victims of police brutality and sent a message to critics. “If you have critique for the resistance, of our resistance, then you better have an established record of critique of our oppression,” he says. “If you have no interest in equal rights for black people, then do not make suggestions for those who do. Sit down.” He capped the speech with an eloquent: “Just because we’re magic doesn’t mean we’re not real.” Amazing. Justin Timberlake’s reaction could’ve began and ended with this tweet, a nice, simple nod to Jesse’s brilliance. Unfortunately, Justin’s message about the oneness of humankind—a comment that’s often inarticulately looped into discussions of racial equality and difficult to express in a 140-character clapback—got garbled in the mess of Twitter. He forgot to never tweet. Surely, now Justin wishes he could forget that he forgot to never tweet. Let’s all just watch Jesse Williams again.